VX21 Xpac has a great balance between strength and weight. 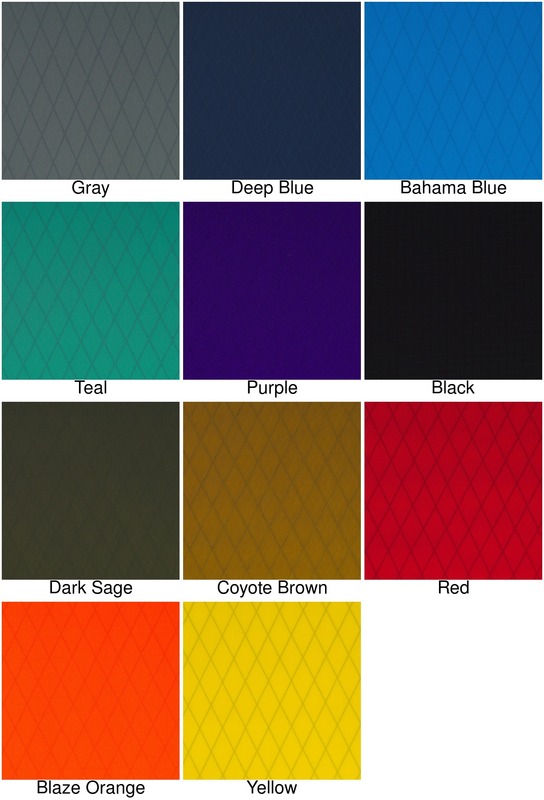 It is a fully waterproof fabric and all colors have a liner to protect the waterproof layer and provide a bright interior, regardless of the exterior color. Our camo fabrics are a slightly heavier version of Xpac - the regular X33 Camo is 5% heavier than VX21, and the X50 Alpine Camo and X50 Black Camo are 55% heavier than VX21. 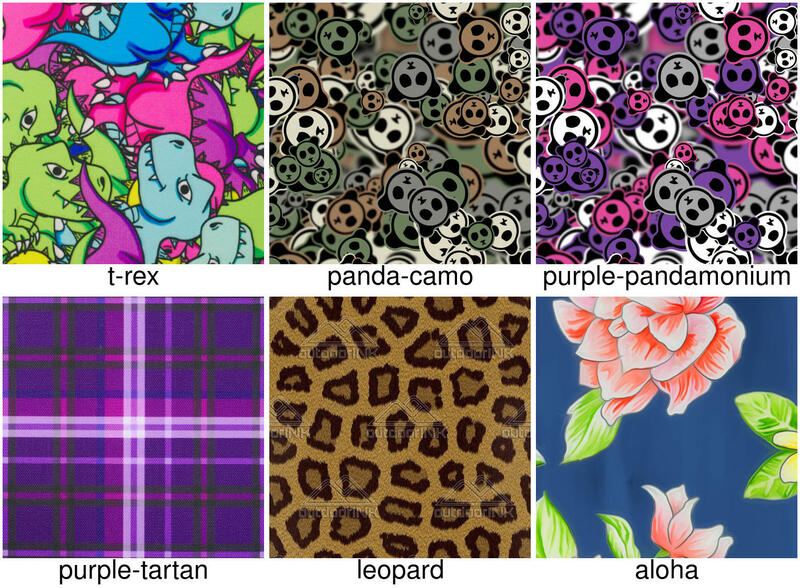 These fabrics do not have the interior liner fabric, which means that the black camo does not have a bright interior. 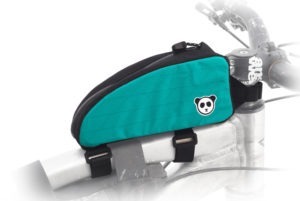 The Rincon is the small, mild-mannered member of the Rogue Panda top tube bag family. When you’ve got a bag between your legs, the last thing you want to do is hit it while pedaling. So we made the Rincon to be as unobtrusive as possible, without sacrificing too much volume. To accomplish that, we made it taller and narrower than the Alamo or Alamogordo, maintaining a 2-inch width throughout the bag. 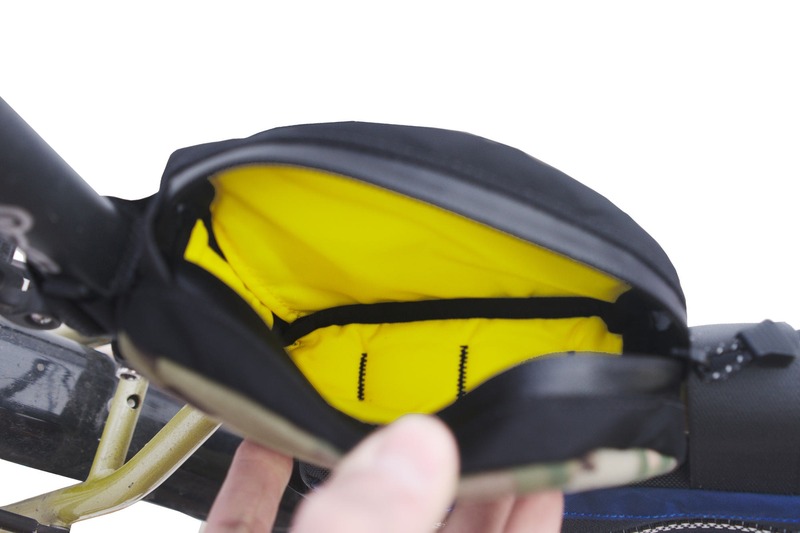 The Rincon has a long single zipper for convenient access, and a bright yellow interior so it’s easy to see what’s inside. 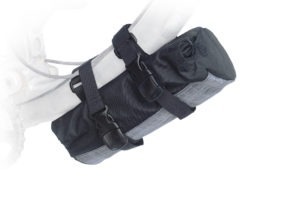 HDPE side stiffeners keep the bag at 2 inches wide so it doesn’t interfere with your legs while pedaling. 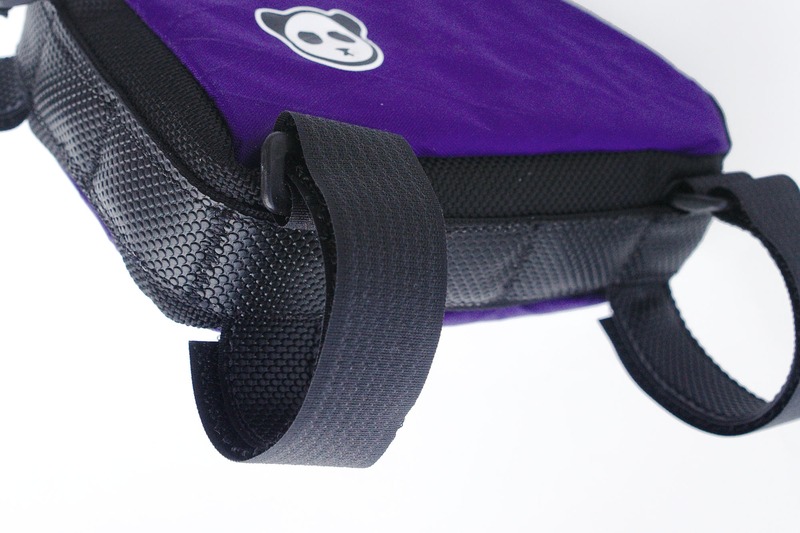 The Rincon has a daisy chain of webbing on the bottom and rear, backed with non-slip rubberized fabric. 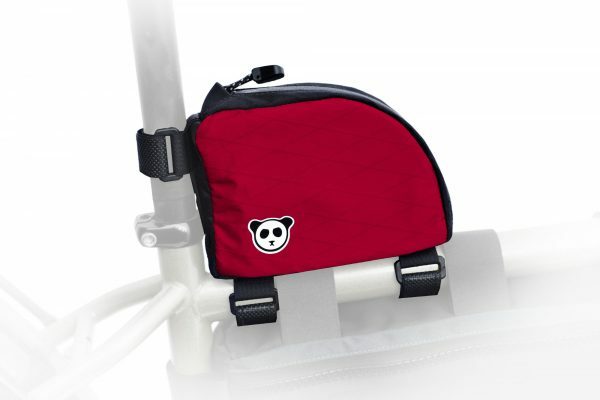 Movable straps (also backed with non-slip) can be moved to accommodate braze-ons, frame bag straps or dropper posts. 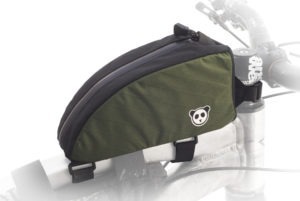 The result is an incredibly stable connection that still allows for the Rincon to fit around whatever other bags you’re running. 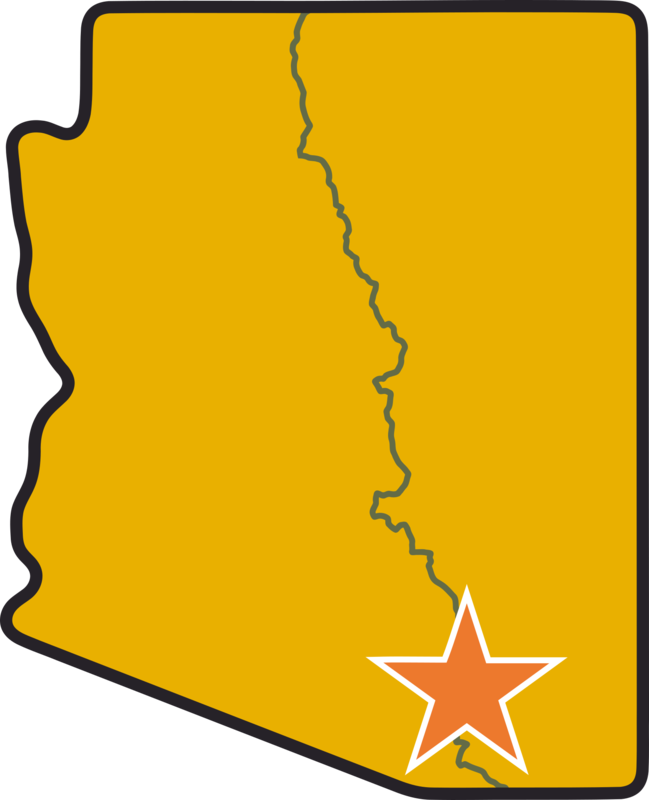 Rincon Valley is a section of mostly smooth singletrack on the Arizona Trail, where you can ride through cactus and mesquite with views of the Rincon Mountains in the distance.